Pokémon music fans rejoice, as the soundtrack to Pokémon: Let’s Go, Pikachu! and Pokémon: Let’s Go, Eevee! is now available on iTunes. Officially titled “Pokémon: Let’s Go, Pikachu! & Pokémon: Let’s Go, Eevee! Super Music Collection”, the complete digital soundtrack is priced at £7.99 / $9.99. Fans who are only looking to add a specific song to their playlist can alternatively purchase each track individually for the grand sum of $0.79 / $0.99. Although, with some tracks only lasting 4 seconds, you may want to pick carefully if you plan to get your money’s worth. 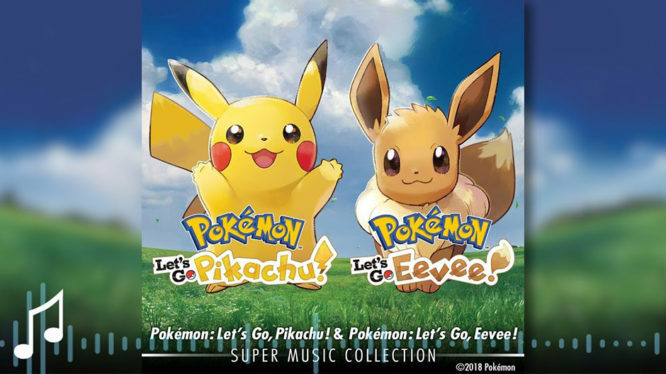 The whopping 122 track audio collection features over 60 songs and sound effects from Pokémon: Let’s Go, Pikachu / Eevee!, plus 50 bonus remastered tracks from Pokémon Yellow: Special Pikachu Edition. If you’re looking for a taster of what the Super Music Collection has to offer then either head over to iTunes or hit that play button in the video below.